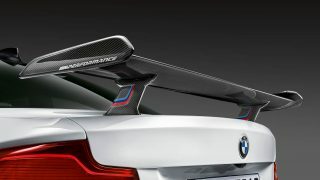 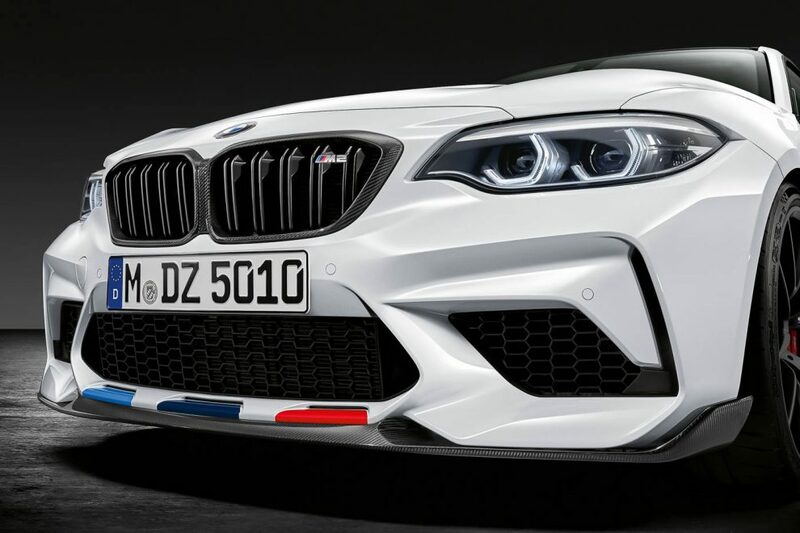 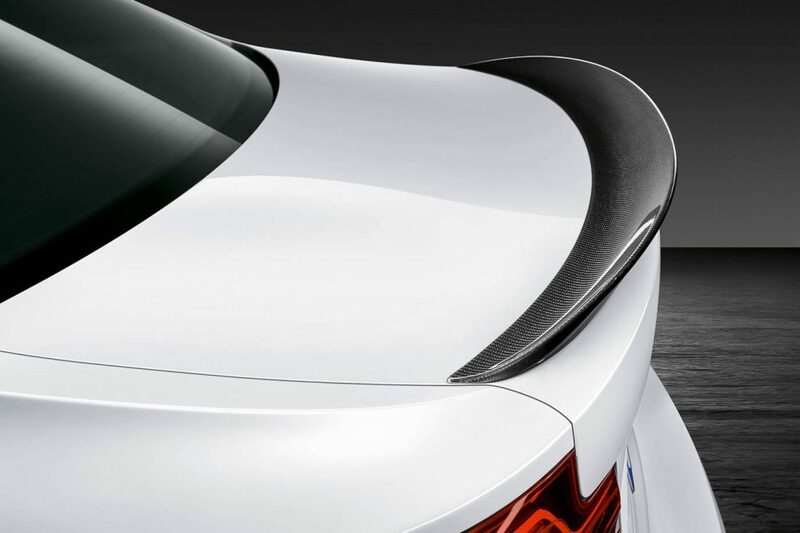 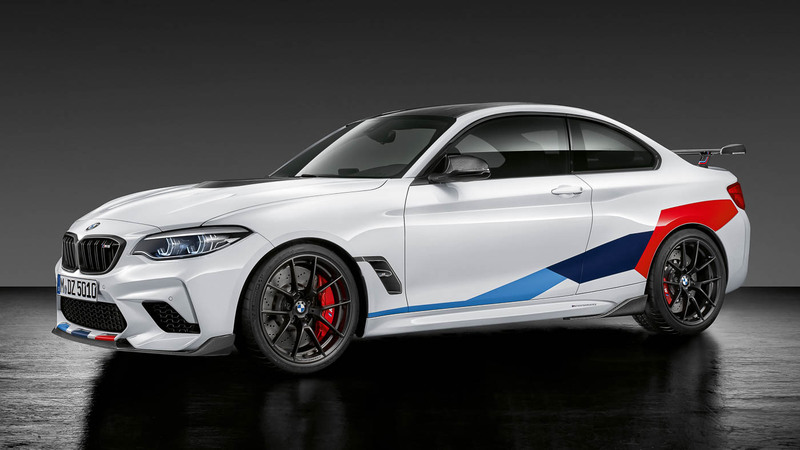 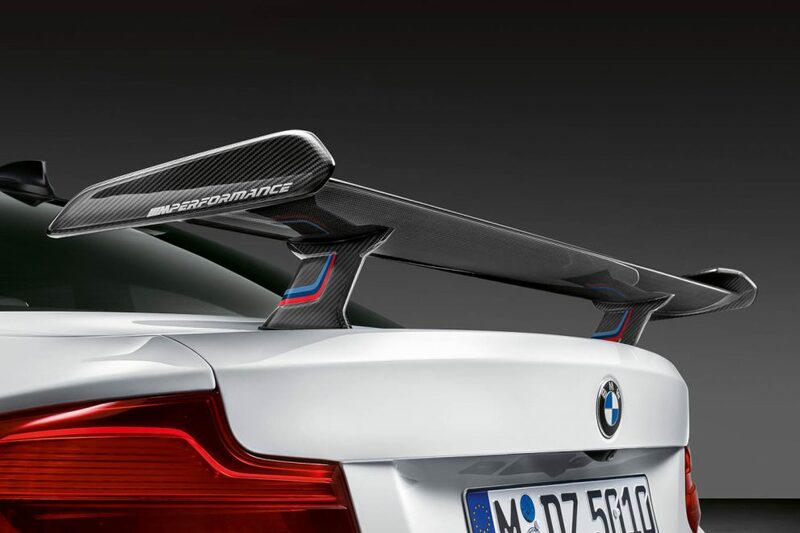 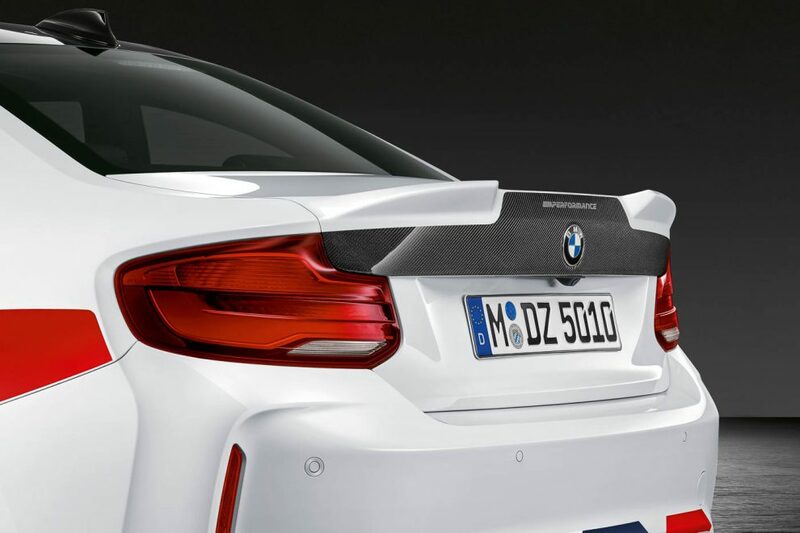 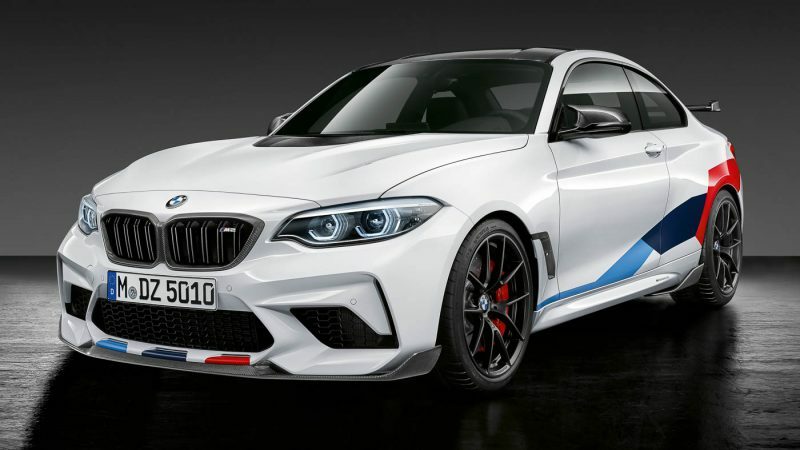 Just when we thought that the BMW M2 Competition is as mean as a 2 series can get, BMW has introduced a series of BMW M Performance Parts to spice up the baby M car even further with more carbon fibre, new wheels and even a rear wing! 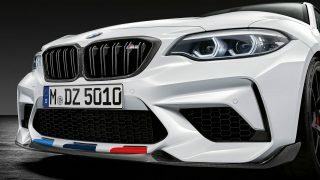 The new list of accessories does not include any tuning for the S55 3.0-litre twin-turbocharged in-line six engine, pushing out 410 hp and 550 Nm of torque paired to a six-speed manual or a seven-speed M DCT. 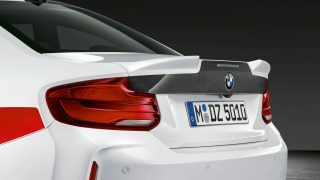 Century sprint is one in 4.4 seconds (4.2 seconds with DCT) while top speed is registered at 280 km/h if you have the M Driver Package installed (250 km/h without). 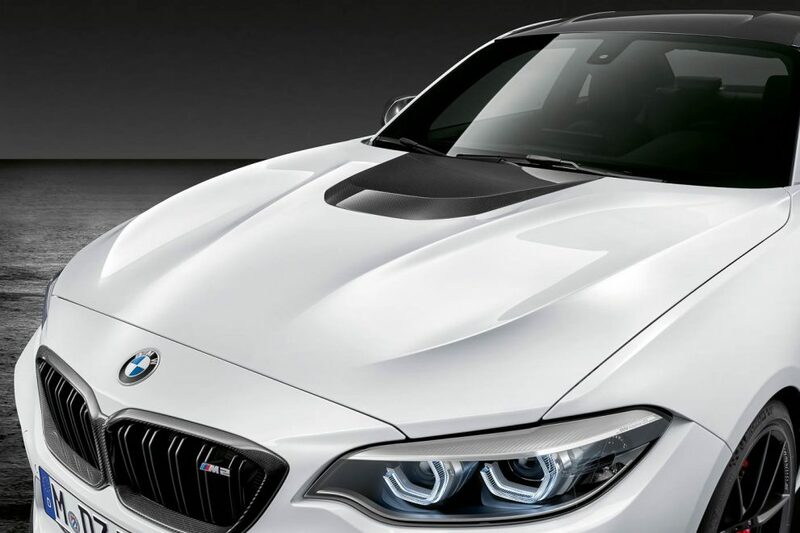 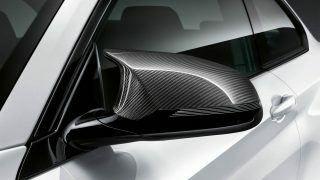 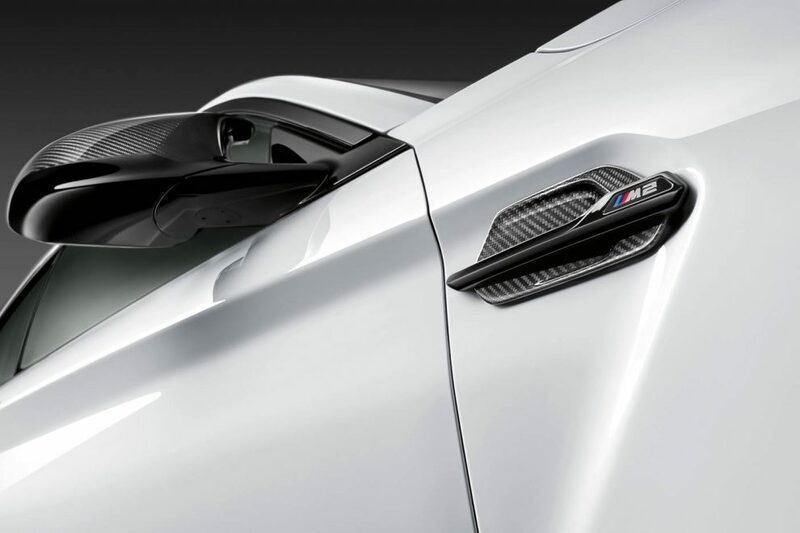 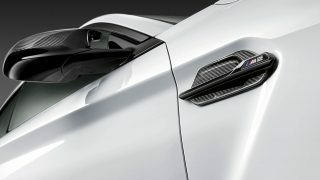 BMW had one purpose in mind when developing the M Performance Parts for the M2 Competition: to save weight. 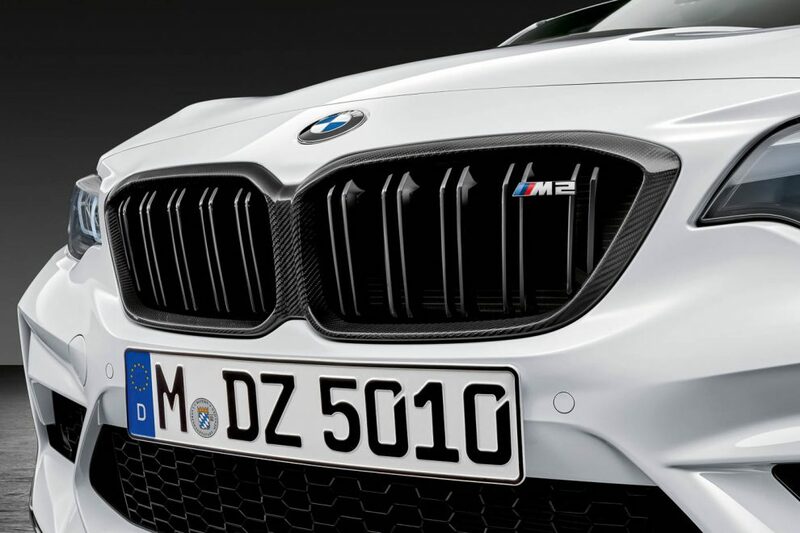 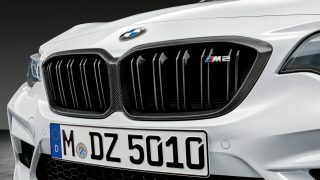 Carbon fibre has been applied to the engine hood (-9 kg), roof (-5 kg), tailgate (-6 kg) and front fenders, all contributing to making the M2 Competition a lighter and meaner machine. 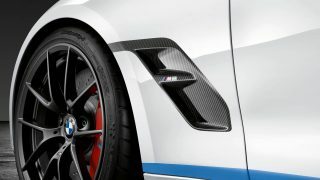 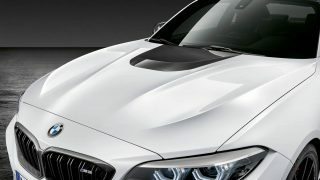 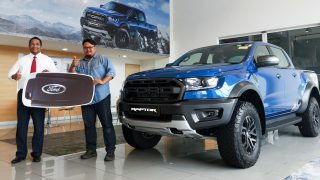 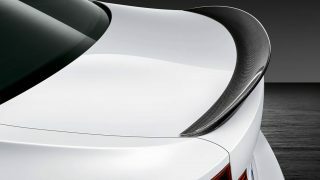 Other visually enhancing options include carbon fibre front splitter, kidney grille, air breather sidebars, exterior mirror caps, door sill, side skirt extensions, rear diffuser and rear spoiler. 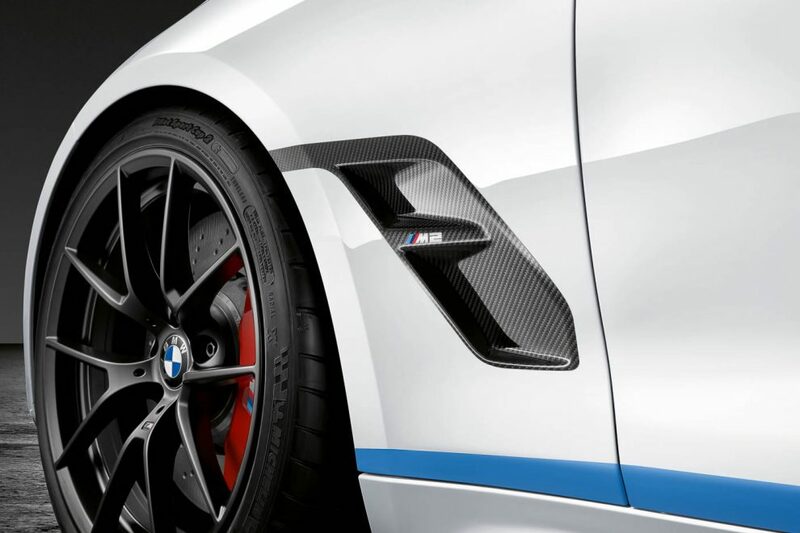 Rounding off the exterior look are a set of M Performance 19-inch Y-spoke style 763 M forged wheel wrapped in Michelin Pilot Sport Cup 2 tyres saves 3.2 kgs of unsprung mass on each corner compared to the standard wheels. 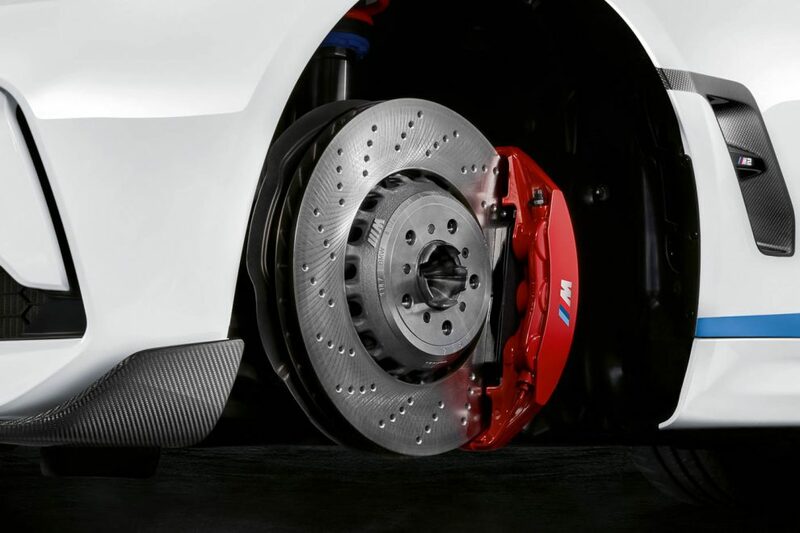 The exclusive forged wheels are available in the colours Jet Black matt and Frozen Gold with machined M Performance lettering in the rim flange. 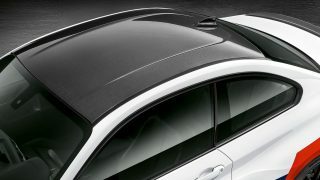 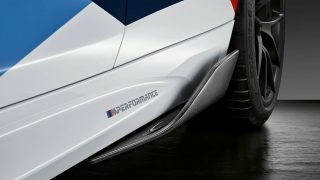 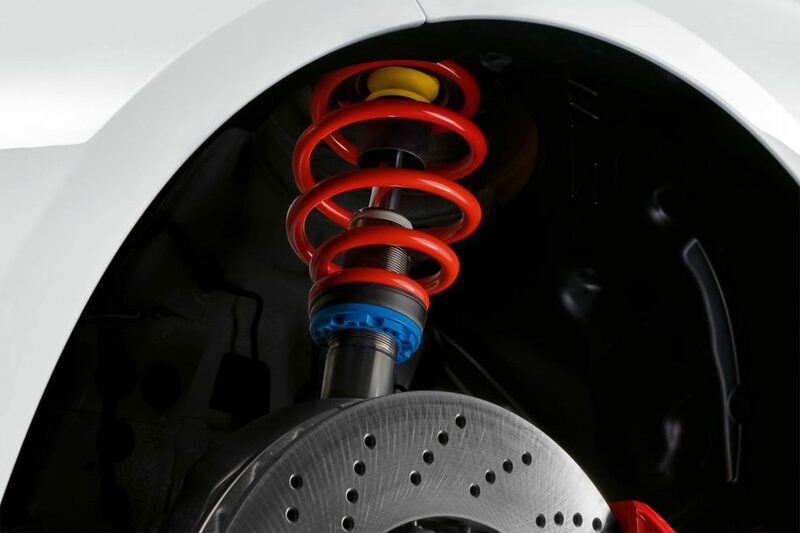 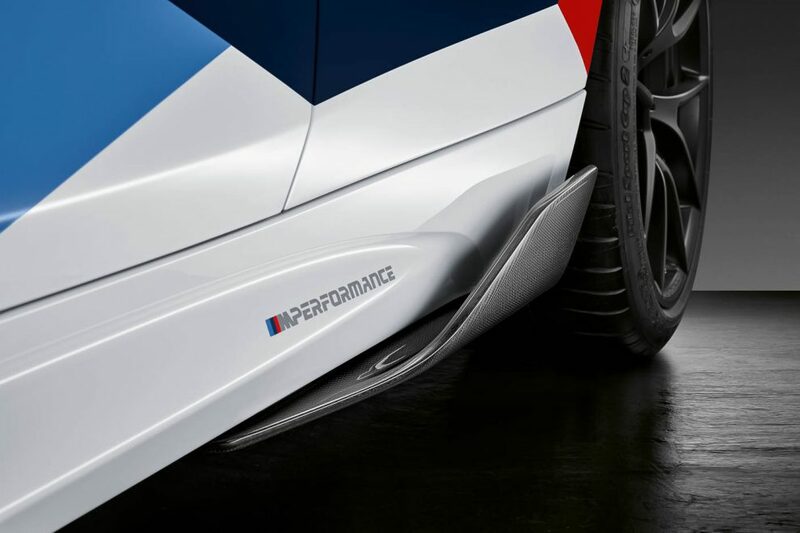 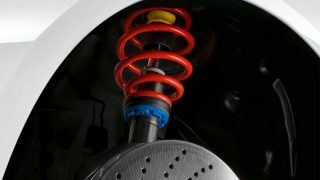 As for performance enhancing options, BMW offers an M Performance adjustable coil-spring suspension that drops the car ride height by up to 20 mm and comes with adjustable damping technology where drivers can set up their preferred compression (12 setting options) and rebound stage (16 setting options). 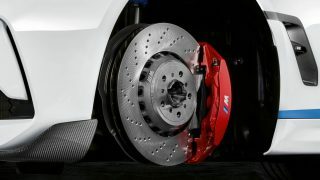 A set of BMW M Compound Brake Discs with 6-piston fixed calipers on the front axle and 4-piston fixed calipers on the rear axle gives drivers consistent and greater stopping power under prolonged extreme conditions. 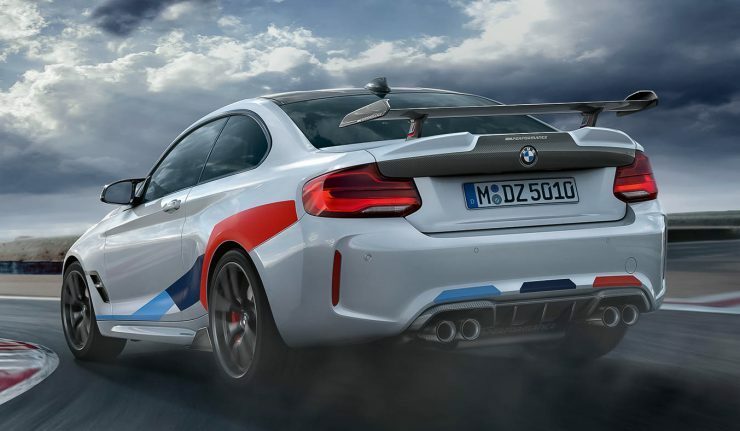 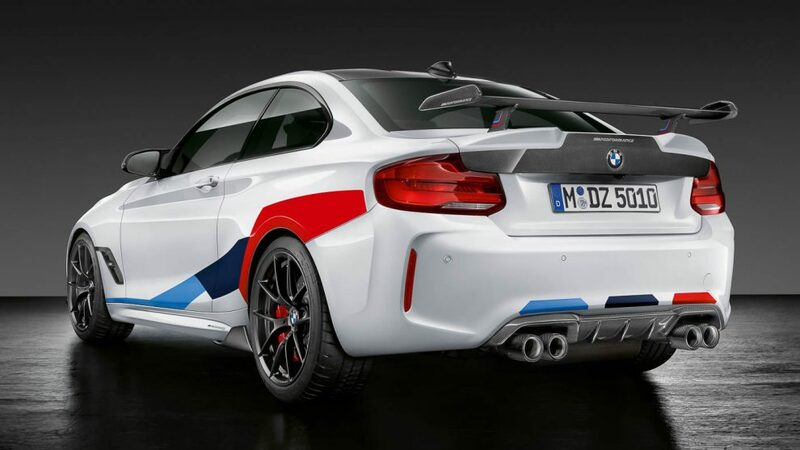 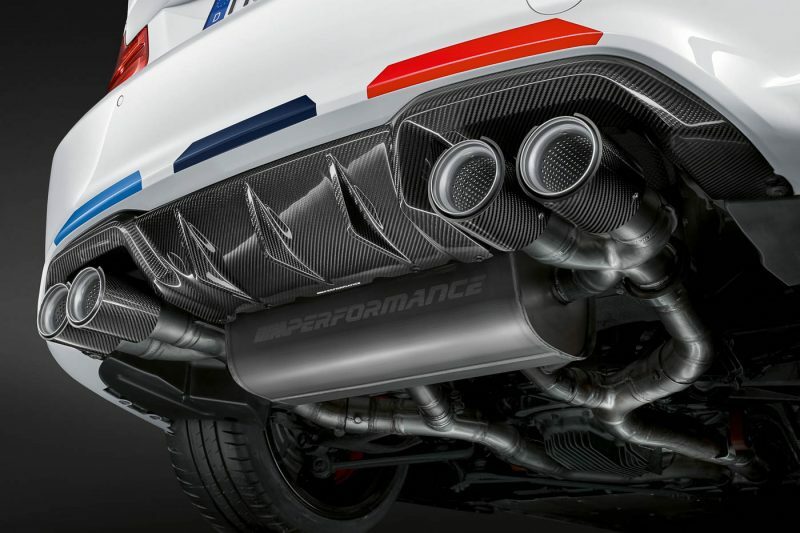 BMW has also developed a new M Performance stainless steel exhaust system with carbon fibre tailpipes to unlock the racing soundtrack of the M2 Competition’s six-cylinder engine. 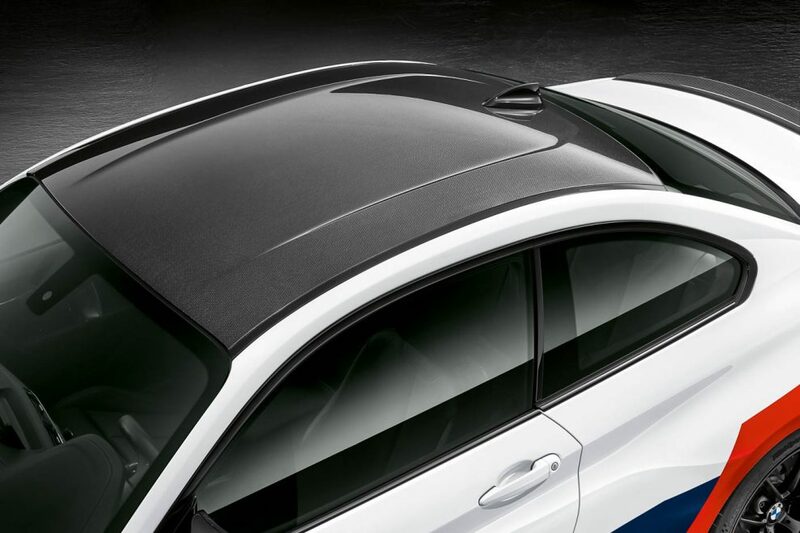 The electronic flap alters the sound pitch depending on the drive mode selected ranging from sporty in Efficient Mode and uncompromised acoustics in Sport+ Mode. 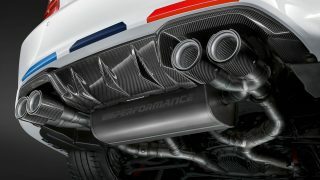 Of course, this new exhaust system is also 8 kgs lighter than the standard system. 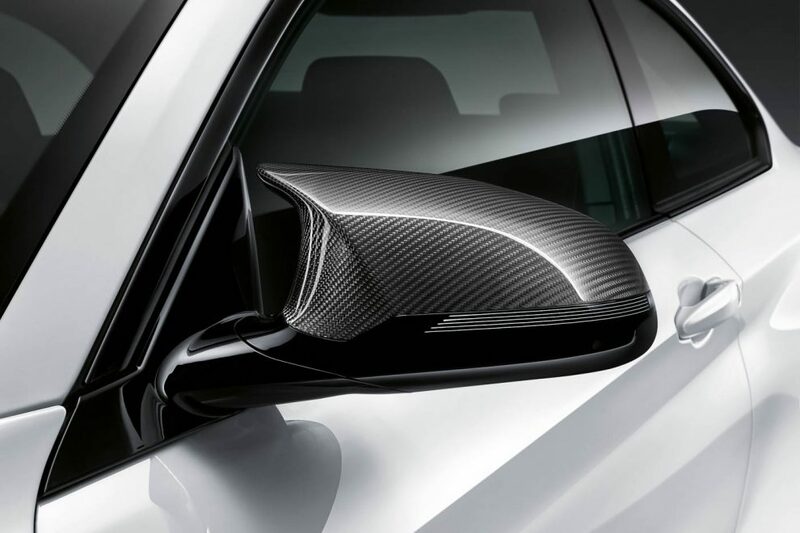 Interior options are limited to stainless steel sport pedals, M Performance branded floor mats and a carbon fibre/Alcantara finish on the gearshift lever knob/gear selector switch, double-clutch transmission and handbrake handle.